From the beginning, Frs Edward Galvin and John Blowick envisioned laity, sisters, brothers and priests engaged in their missionary enterprise. Since 1977, the Society has been exploring avenues for greater cooperation with the laity in cross-cultural mission. This cooperation flowered in a commitment to partnership with laity in mission through a Columban Lay Missionary programme. In 1978, Lay Missionaries (LMs) from Ireland were sent to Japan and the Philippines. 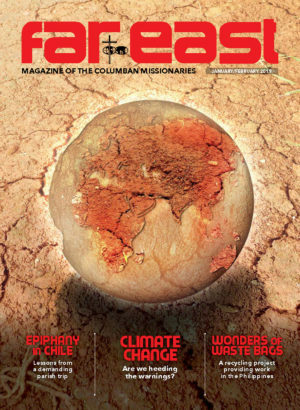 In 1990, the Columban Lay Missionary programme commenced. The programme evolved gradually through meetings with lay missionaries and was formally approved by the Superior General in June 1994. Since the establishment of the programme lay missionaries have gradually taken on greater responsibility for leadership among themselves and for the sending and receiving of lay missionaries across the various regions and Mission Units. 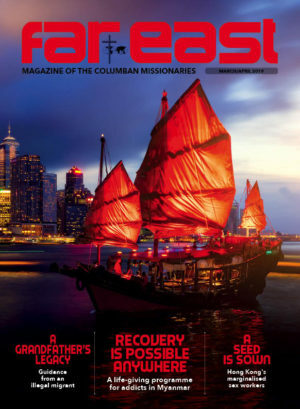 In October 2006, this development was affirmed with a shift from lay missionaries being part of a programme to calling themselves ‘Columban Lay Missionaries’ (CLM). We are people of faith, an intercultural group of women and men, single, married and families, called to respond to God’s mission by crossing boundaries of culture, gender, creed and race. We are sent as disciples of Jesus. With joy and gratitude, we journey in communion with one another, with the poor and the exploited earth and participate in building bridges of dialogue between people of diverse cultures and faiths in cross-cultural mission. In partnership with one another, with the ordained Columbans, and with local and home communities, and through mutual support and challenge, we strive to be catalysts of transformation in building God’s Reign.